We are fully ISO9001 approved and can quote to Design or simply manufacture one off or batches of hand laid autoclaved carbon fibre pre-preg composite components to your requirements in either low volume CML978 epoxy tooling block or HDT vinyl ester glass tools or higher production life carbon fibre or cnc alloy / steel tools. 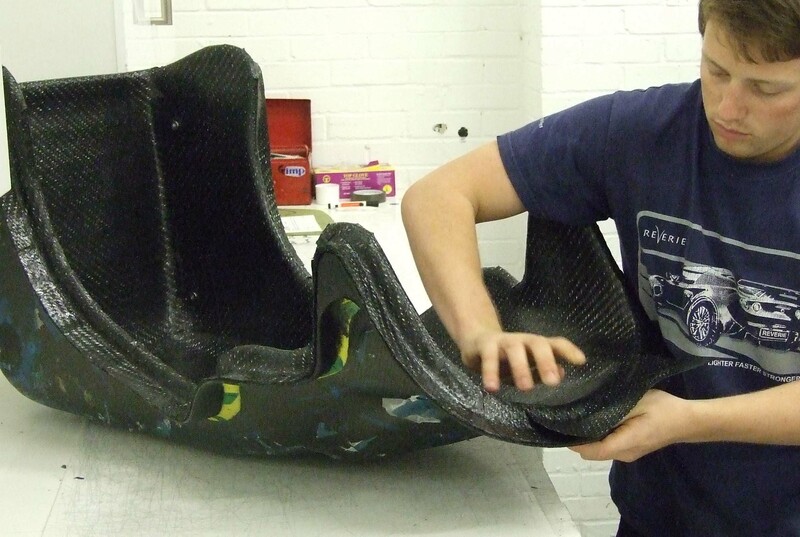 We use Solid works and have 16 years+ knowledge of composite design, manufacture and optimisation we are happy to share with you to improve your idea or product for manufacture at Reverie. We also have partners we work with if you require quotations for FMEA Software to fully optimise your structure upfront. We have two composite pre-preg cnc cutting machines for more information see here and 2 electric Autoclaves capable of 100psi and upto 300’c, our normal epoxy component cures are 120’c, the larger is 1.15m diameter by 3.75m by 0.80m z height. We have a 12 strong work force with many years experience and passion, we have on site Composite Design, Pre-preg nesting & cnc cutting, Laminating and hand or cnc trimming / painting facilities to the highest possible standards. We can also provide 3D conformance measurement reports if required on sample or all components to ensure quality and repeatability. Please e-mail sales@reverie.ltd.uk your photos or sketches of your needs or cad files 2D as pdf and or dxf/dwg format, 3D models as step or iges format (be they final or for design discussion) or e-mail us details of your ftp site where you have uploaded the files.